When a CPG company grows rapidly, it often starts to outsource some specific functions, for example, accounting or auditing. Merchandising is also among the activities that are often being outsourced. On the one hand, by outsourcing merchandising activities a company gets more time to concentrate on the vital areas, such as manufacturing and distribution. Managing a team of merchandisers can be costly and time-consuming. On the other hand, using a third party to conduct merchandising audits may impact company’s bottom line due to the lack of control. So, checking out pros and cons of merchandising outsourcing can help you to decide what is better for your company: conducting in-house merchandising audits or outsourcing merchandising activities. General concern is that if you hire a third party to conduct retail merchandising audits for your company, you run the risk of loosing control of merchandising activities, which may result in poor customer service, lower levels of brand loyalty and drop in sales. Most of the problems come from weak control and poor cooperation between your management and a third-party merchandising team. Depending on the reputation and reliability of the service provider, problems that occur include big time gaps between auditing and decision-making, formal attitude to the work that has to be done, loosing some important part of merchandising data or even lost paperwork, and fraudulent reports. Therefore it makes sense to consider the opportunities to conduct internal merchandising audits. If your goal is to ensure the highest level of merchandising performance, and you can afford to maintain your own team of merchandisers, opt for in-house merchandising audits. Finally, the cost of in-house merchandising will be paid back due to sales growth, as your products are sold better when managed by your own merchandisers, familiar with products, brands and marketing strategy of your company. Reading this article, many of the business owners will think that they simply don’t have time and resources to invest in internal merchandising. The most surprising thing, to be discovered, is that in fact they have, but they do not know about this. Today software vendors offer companies comprehensive retail execution solutions, to automate sales, merchandising, retail audits and store data collection. 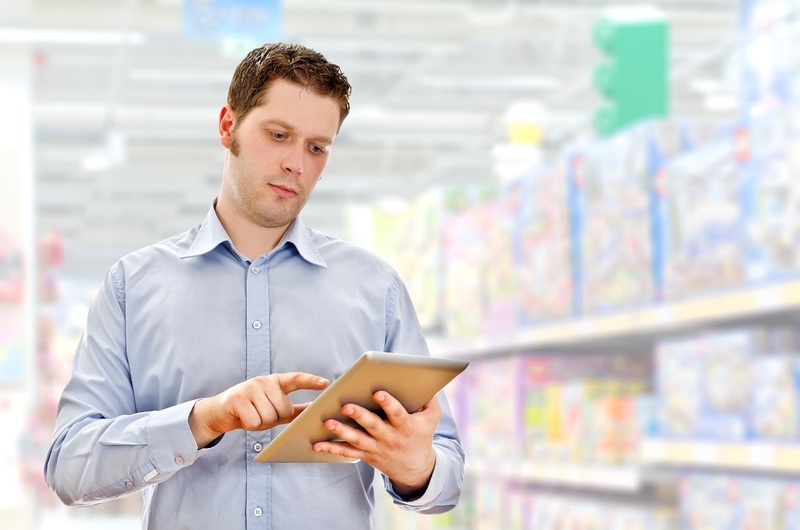 Using merchandising software every company may allow in-house merchandising audits, getting broad coverage of retail locations and real-time data from points of sale. VisitBasis is an up-to-date merchandising software solution that requires almost no time and resources to implement. After the registration at www.visitbasis.com you get free access to our merchandising software and will be able to organize your first merchandising audit in 15-20 minutes. You will not incur any costs to hardware or training – VisitBasis Merchandising App works from browser (for office managers) and can be downloaded for free on Google Play and App Store (for merchandisers). Your team members can use their own mobile devices to perform merchandising activities and you don’t have to invest in training, as VisitBasis Merchandising App is intuitive and user-friendly. Schedule a demo today to see how it works, find tutorials on our YouTube channel or read our previous articles on merchandising.